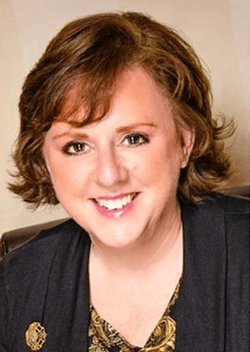 Toni Hoy has been writing and ghostwriting for nearly 15 years, covering such topics as mental health, adoption, insurance, senior care, and business. With an interest and dedication to addressing in child mental health, especially as it relates to child trauma, Toni hopes to educate and inform others about brain disorders. Toni has also ghostwritten articles on the topic of first responders affected by mental health. As a social service system consultant, Toni helps parents navigate the complexities of social service systems in Illinois through her company, SEAS Consulting. Toni is the author of the nonfiction work, “Second Time Foster Child,” where she shares her family’s struggles in dealing with state social service systems. She shares related articles in magazines such as Adoption Today and Empirical. USA Today and Trails.com also published articles on other topics written by Toni. In the business field, Toni managed the website, blog articles, and social media platforms for an insurance agency in the Chicago suburbs for ten years. She also ghostwrote nearly a hundred articles on senior care. Currently, Toni ghostwrites blog articles for a major corporation that offers software for boards of directors. She also ghostwrites a column for digital marketers for Forbes Communications Council. As a volunteer, Toni has served on the board of directors for the Community and Residential Services Authority, which is an Illinois state authority. She is also currently on the board of directors for Hope Meadows, an intergenerational community for seniors and foster/adoptive families. As a member of NAMI, Toni is a state trainer for Family Support Groups. Toni is also the recipient of multiple awards for advocacy in child mental health for work in working with legislators to write and pass a new law in Illinois. Among her awards are the Angels in Adoption Congressional Award and the Family Defense Center Parent Advocate Award. Toni Hoy received her Bachelor of Arts degree in Communications from Thomas Edison State University. She was the recipient of the Arnold Fletcher Award. She is also a licensed property and casualty insurance agent in Illinois. My interest in mental health stems from many people close to me living with mental health disorders. Brain disorders can be a debilitating issue without the proper treatment. Researchers have strongly contributed to discoveries that have helped people with brain disorders to stabilize and lead healthy, happy, productive lives. With the help of technology, I believe that the near future will bring innovative, helpful treatments. As Patrick Kennedy says, “Everyone needs a checkup from the neck up.” I believe in using non-stigmatizing language when talking about mental health disorders. We all have mental health just as we all have physical health.